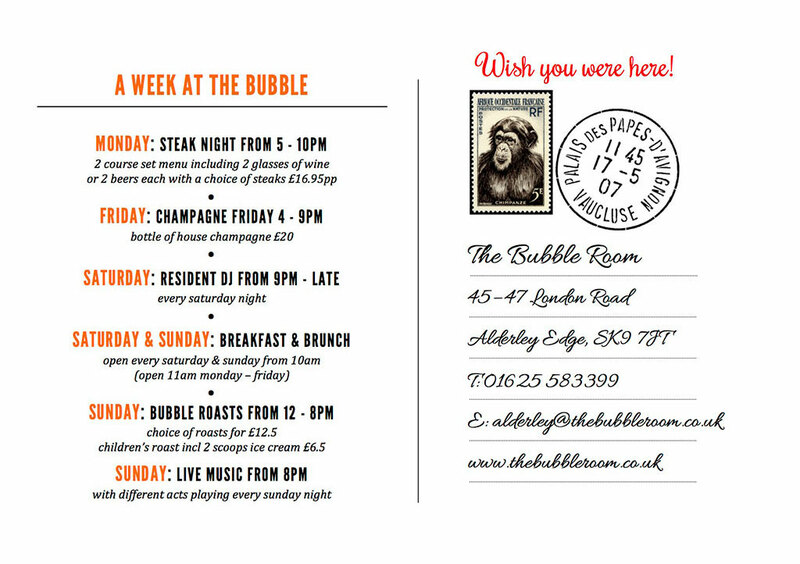 The Bubble Room in Alderley Edge is located on London Road on the corner of Steven Street in the heart of Alderley Edge village. We open from 11am – late Monday to Friday & 10am – late on Saturday & Sunday for Breakfast, Brunch, Lunch & Dinner. 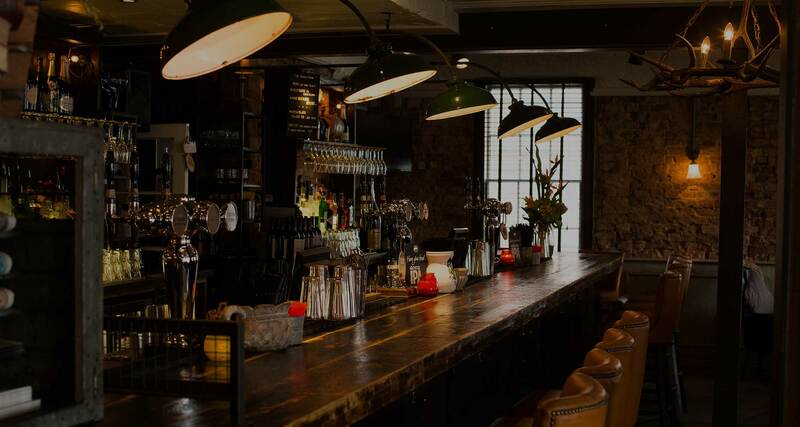 With an extensive range of Cocktails, Beers, Wines & Champagne, The Bubble Room is a great place to sit back, relax & enjoy good food & drinks with friends & family. For Private Parties we have “The Monkey Lounge” – available for group sizes of 20 up to 40, it’s the perfect space for Office Parties, Lunch Meetings, Engagement or Birthday Parties. Further options are available, please contact us direct. Dogs are welcome Monday – Friday in our Bar Area only until 5pm.